Happy Saturday my loves and lovelies. Well if you are any like me . I tend to do very well on the weekday with my eating and workouts but its something about the weekend that always in my mind says cheat..cheat …cheat. 1 cheat meal seems ok but damn not 2 whole days. It destroys all the progess you have made during the week. Some of that comes from being too strict, celebrating too early or thinking the weekend means get off track. But my friends this weekend I dare you and I to do something different. Lets defeat the weekend together. 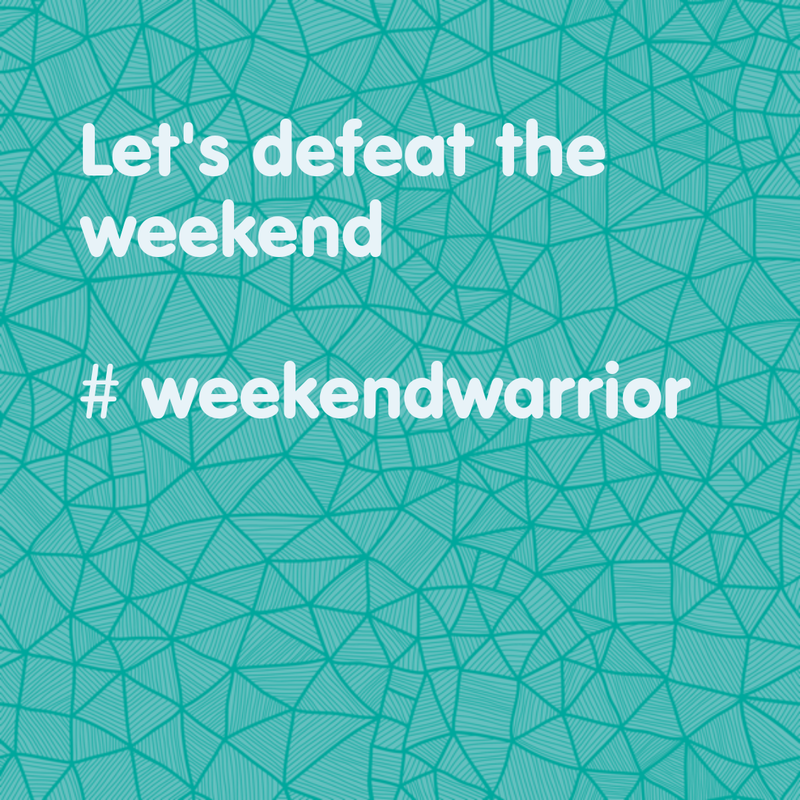 Be a weekend warrior. Do the weekends throw you off your weightloss journey?